One or more of the preceding sentences incorporates text from a publication now in the public domain: Chisholm, Hugh, ed. (1911). 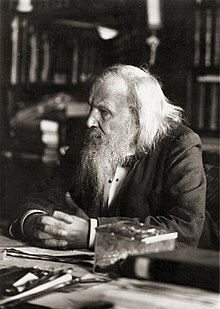 "Mendeléeff, Dmitri Ivanovich" . Encyclopædia Britannica. 18 (11th ed.). Cambridge University Press. p. 115. ^ a b c Evseev, Anton (21 November 2011). 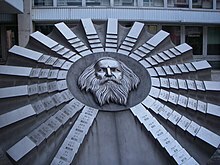 "Dmitry Mendeleev and 40 degrees of Russian vodka". Science. Moscow: English Pravda.ru. Retrieved 6 July 2014. ^ ВНИИМ Дизайн Груп (13 April 2011). "D.I.Mendeleyev Institute for Metrology". Vniim.ru. Retrieved 20 August 2012.